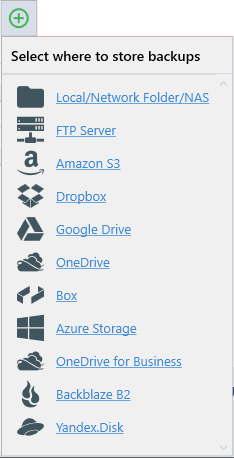 What's unique about this PostgreSQL backup tool? 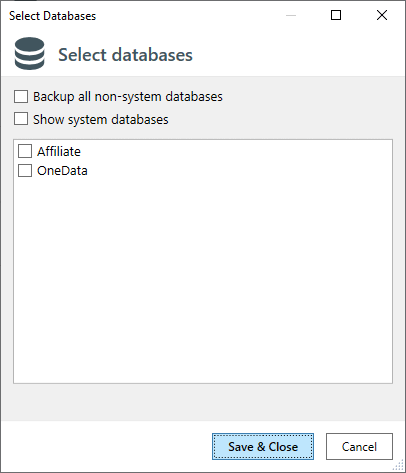 How does it backup PostgreSql databases? 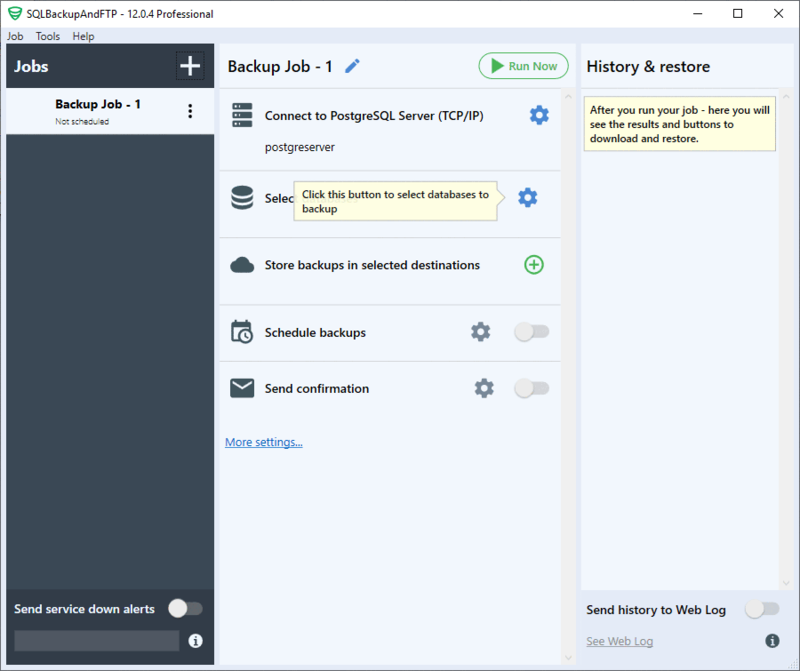 SQLBackupAndFTP runs on Windows machine and backups remote PostgreSQL databases via TCP/IP connection. 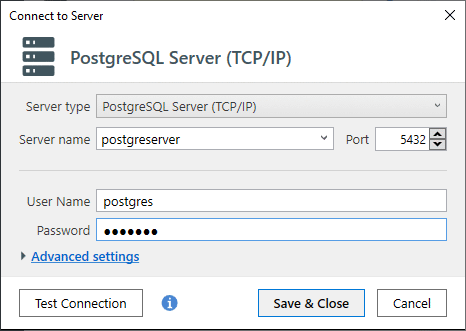 It creates PostgreSQL backup script that later can be run to restore the PostgreSQL database. 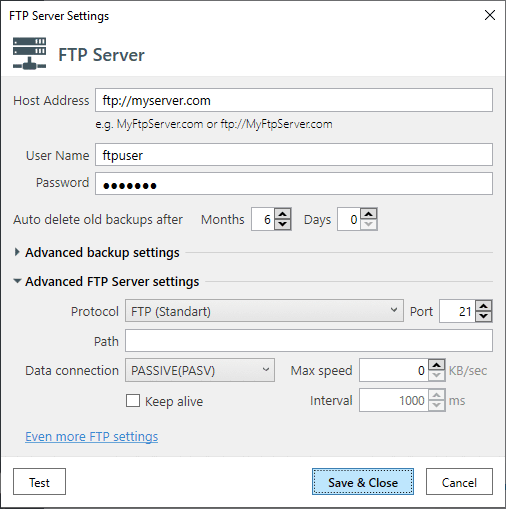 When TCP/IP connection is used the backup is accomplished using pg_dump utility. How does this tool relate to PostgreSQLBackupFTP? 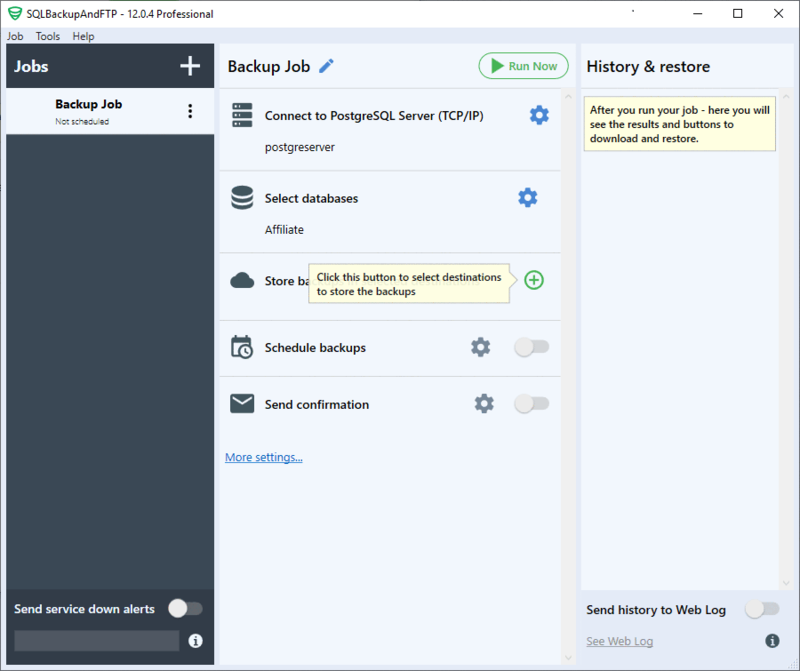 Previously, SQLBackupAndFTP and PostgreSQLBackupFTP were two different products. PostgreSQLBackupFTP has since been deprecated. Now SQLBackupAndFTP includes all the functionality of PostgreSQLBackupFTP and more. 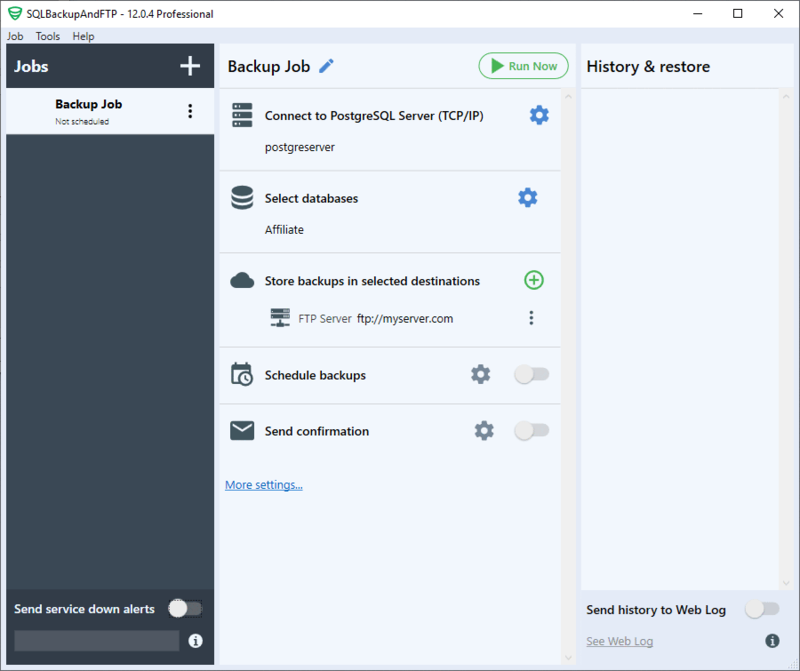 SQLBackupAndFTP can restore PostgreSQL backups. In addition, it can also notify you if something goes wrong with your PostgreSQL servers.